Meditu: Healthy Living » What is Conjunctivitis, and How Do You Sort out This Allergy? What is Conjunctivitis, and How Do You Sort out This Allergy? If your eyes are exposed to some allergens, such as mold spores or pollen, it will become watery, itchy, and red. These kinds of symptoms simply mean that you have allergic conjunctivitis. It is the inflammation of your eyes, which results on allergic reaction to allergens. Your membrane inside your eyelids and the covering of your eyeballs is called conjunctiva. It is the part, which is very susceptible to irritation from allergens during the hay season of fever. Having allergic conjunctivitis is common but can affect lots of people. It is a kind of body reaction to some substances that is considered potentially harmful and therefore, you should always be aware. Acute allergic conjunctivitis – It is short-term condition, which is very usual during allergy season. Once you suffer from this allergy, your eyelids will feel burn, itchy, and swelling, and sometimes, you will feel like you have watery nose. Chronic allergic conjunctivitis – This condition occurs all year round and creates a response from allergen such as animal dander, dust, and foods. You will feel itchiness and burning of eyes, as well as light sensitivity as its common symptoms. However, there are some people, who experience this allergic conjunctivitis from the reaction of substances that is dropped in the eyes like those with medicated eye drops or contact lens solutions, among other medications. On the other hand, if you think that you have severe allergic conjunctivitis, it is best for you to visit your doctor so they can recommend the right antihistamine that will help you reduce the release of histamine, providing you the right anti-inflammation drops or steroid eye drops. Having the proper treatment will provide you better relief and help reduce the symptoms. 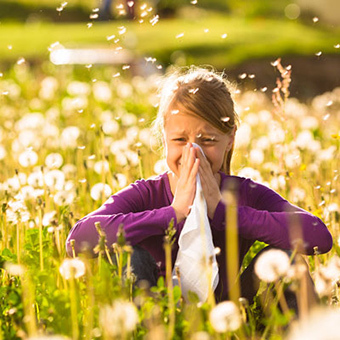 In addition, taking extra care to avoid exposure in some environmental factors that cause allergic conjunctivitis is among the best actions that you can do.